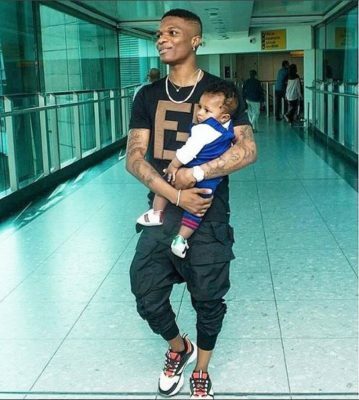 Wizkid took to his Instagram page to gush his last born who became a year old today. Wizkid believes the kid is a door opener as good things have been happening to him since his birth. Wizkid does not hesitate to show off his son, Zion on his social media. The singer has also proven he is an awesome Baby daddy with his baby the one that gives him joy.